This is more than just a robotics workshop. Our carefully-designed program integrates science concepts, as well as math and engineering skills, and shows the relevance of robotics to our everyday lives. This is a real STEM experience. Students of all experience levels will be engaged by an exciting four-week project that takes them right the way through the process of building and programming their own robots. 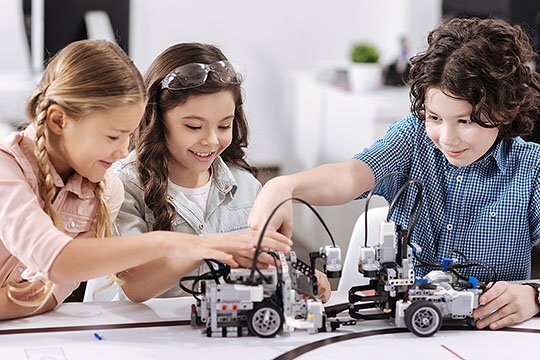 Each eight-week course offers a fresh topic, meaning your budding robotics engineers can come back time after time to continue to develop their skills and expertise.